This thread contains official club sponsors, in the order they became a sponsor, as taken from the old Club Sponsors page. As of the creation of this thread, none of the sponsors have been re-verified, so if you encounter any issues or discrepancies between what the offered an what you receive, please send me a PM and I'll investigate it. Last edited by Spiderman; Tue Sep 15th, 2009 at 02:16 PM. Reason: Removed my signature to avoid causing confusion between my personal sponsors (that are listed in there) with club sponsors. Remember to identify yourself as a Colorado Sportbike Club member in order to get your discount - our sponsors aren't psychic! Located at the northern end of the Scenic Highway of Legends (Map: 800x600 - 1600x1200) which is a wonderful ride in the southern part of Colorado. 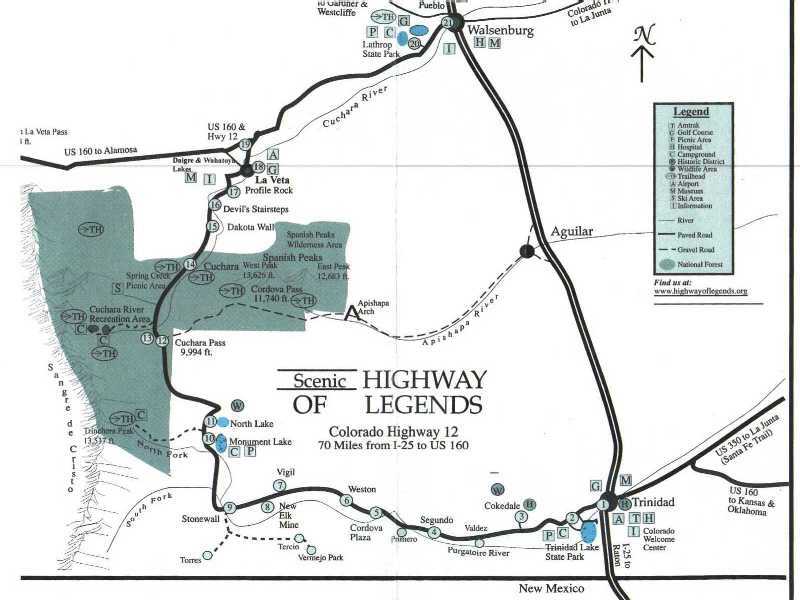 Approximately 2.5 hours from Denver, so it's an easy day or weekend getaway. They also have a restaurant that serves a fabulous breakfast, lunch and dinner. Plastic, Metal & Fiberglass Repair . Paint & Custom paint (helmets too). Custom fiberglass molding & Performance tuning. Be sure to see their web site for more details on what they do! These discounts are offered exclusively for Colorado Sportbike Club members!! Please inquire about any task you may have in mind! Last edited by Spiderman; Sat May 30th, 2009 at 12:40 AM. 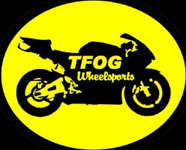 TFOG is a 2-man shop run by racers. In addition to providing racers track-side support at all of the MRA races, they have a shop in Golden, where they work on all makes and types of bikes (cruisers, dirtbikes, streetbikes & racebikes). They're very knowledgeable and are always willing to answer your questions & help in any way they can. Buyers: Free Home Warranty* when you let us help you find your new home. Sellers: Your Home Sold In 120 Days or Less! Plus when you put your property on the market with us, we will offer your buyers a Free Home Warranty*. ASK ME ABOUT THE NEXT FIRST TIME HOME BUYER CLASS: $8,000 TAX CREDIT, LOW INTEREST RATES AND GREAT PRICES ON HOMES! NOW IS THE TIME TO BUY! Check out www.cfthb.com for more information as well. * Free Home Warranty covers home appliances for 1 year. Approximate value $300. Last edited by Spiderman; Tue Jun 30th, 2009 at 11:15 AM. Located in the heart of the old town of Steamboat, we have rooms that are directly accessible from the parking lot. We were one of the most frequented motels for Ride the Rockies because of our location. We serve a continental breakfast that is much more than just juice and cereal. $79.00 per night (normal rate for the summer is $119), with the exception of July 4th weekend and the balloon rodeo (July 11 & 12, 2009), when CSC members will receive 20% off the normal rack rate. Denver Data Recovery by Eboxlab provides data recovery services from virtually any media type, size, interface, logical structure, capacity and/or brand, even the most obsolete types of storage containing data, still may be recovered. We have recovered information from devices of such brands as: Seagate, Western Digital, Connor, Maxtor, Toshiba, Fujitsu, IBM, Hitachi, Compaq, HP, Samsung, Quantum, Iomega, JVC, Nikimi, TEAC, Xebec, SyQuest, Imation, 3M, DEC, Maxell, Olivetti, Panasonic, Ricoh, Sony, Verbatim, and many others. At Eboxlab Laptop Service, our experienced laptop technicians perform prompt service on all makes and models of laptop & notebook computers. Our qualified technical staff diagnoses challenging problems for brands like Toshiba, IBM/Lenovo, Sony, HP, Compaq, Dell and many others. We offer very competitive prices for quality laptop repair service. Our laptop repair estimates include parts, labor.